Heart flutter is a nonspecific term often used by people when describing an abnormal sensation in their chest that may refer to one of several conditions which may be benign or may be concerning, including premature ventricular contractions (PVCs), premature atrial contractions (PACs), heart block, atrial fibrillation, atrial flutter, ventricular tachycardia, POTS, or muscle spasms in the chest among others. The medical term for heart flutter or fluttering heart is palpitations. What is that feeling of heart flutter in my chest? The sensation of heart flutter may fit several descriptions including hard beats, fast beats, irregular beats, skipped beats, fluttering sensation, pauses, flip-flopping and may be intermittent or continuous. Often times people have difficulty describing the sensation of heart flutter. Depending on the cause and the health of the person, there may be associated symptoms including shortness of breath, dizziness, chest pain, sweating, tunnel vision, or headaches, among others. What exactly is happening to my heart during heart flutter? 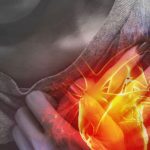 It is important to understand that heart flutter does not refer to a specific problem, rather it refers to a symptom that a person may experience. In order to understand what may be causing the problem, you need to understand a little bit about how the heart normally works. The heart is an electro-mechanical organ. In a sense, it runs on electricity. Normally, a coordinated electrical wave arises from the natural pacemaker known as the sino-atrial node (SA node) which is located in the upper chambers of the heart, known as the atria. After a short delay of this electrical wave in clump of cells known as the atrio-ventricular node, or AV node, the electrical wave then spreads across the lower chambers of the heart, known as the ventricles. This perfectly timed electrical wave causes the atria of the heart to contract first, so that blood is pumped from the upper chambers to the lower chambers, and then the ventricles contract after they are filled so the blood is pumped out to the body. If this electrical wave gets out of whack for any reason, it is very common for us to take notice and describe a feeling of heart flutter. Below, we will discuss some of the common arrhythmias which may be responsible for these symptoms. There are many other less common arrhythmias which will not be discussed here, but could be responsible for your symptoms. One of the most common reasons for this sensation resulting in the feeling of heart flutter is the often benign arrhythmia known as premature ventricular contractions, or PVCs. Sometimes, a small area of cells in the ventricle may begin to behave erratically for a number of different reasons, and give rise to an electrical wave starting in the ventricles. You can imagine that if an electrical wave has already begun in the atria, that the two waves may collide somewhere out in the heart and cause some uncoordinated contractions where the ventricles and atria attempt to contract at the same time and fight against each other. This may result in the feeling of a skipped beat or a hard beat in the chest. This may happen only occasionally or may happen thousands of times per day and may be described as heart flutter. Sometimes people don’t feel it at all, and other times it drives people crazy. It may be totally benign, or it may be a marker of disease. Therefore, a thorough evaluation should be done by a qualified physician to determine if any treatment is necessary. Often this is nothing to worry about unless it is happening thousands of times per day and either affecting the strength of the heart or just driving the person crazy. In these cases treatment with medications or ablation of the cells may be warranted. Sometimes the the cells acting up occur elsewhere in the atria other than the sinus node, such that two waves can spread across the atria at different times and this may give the sensation of heart flutter due to a skipped beat or an extra beat, but is often not noticed at all by the person and may only show up on an EKG test or a Holter Monitor. This may be completely benign, or may be a marker of heart disease such as enlarged atria or fibrosis present in the atria. If there is disease present in the AV node such that the electrical wave is not always passed successfully from the atria to the ventricles, the potentially dangerous condition known as heart block can occur. There are different degrees of heart block, including 1st degree, 2nd degree, and 3rd degree (complete heart block). Complete heart block is when the AV node is so diseased that the electrical wave completely stops conducting to the bottom chambers of the heart and the person is at risk for syncope, or passing out, and possibly death. A pacemaker can be used to treat this condition. Atrial fibrillation is a condition where the electrical wave that normally spreads evenly over the atria becomes disrupted for a number of different reasons and becomes fractionated such that several smaller uncoordinated wavelets begin to wander all over the atria. This may result in an atrial rate of up to 300 beats per minute and causes the atria to beat erratically such that the pumping function is completely lost. This causes the AV node to become bombarded by small electrical waves, but only a fraction of these waves get through to the ventricles and can cause the feeling of heart flutter. If, for example, the atria are beating at 300 beats per minute, and every other wave makes it through the AV node to the ventricles, the ventricles will beat at 150 beats per minute. This condition is commonly known as afib with RVR, or rapid ventricular response. This is often very noticeable to the person, who often feels that their heart is racing and may describe the symptom of heart flutter. Sometimes the person may feel dizzy or short of breath. Atrial fibrillation usually does not cause death directly, but is likely a marker of some other disease process that is going on in the heart. Sometimes too much alcohol can cause this, which is known as “Holiday Heart.” The biggest danger of atrial fibrillation is that blood can pool in the upper chambers of the heart since it is no longer being effectively pumped and if the clot finds its way into the ventricles, it can be pumped straight up to the brain and cause a stroke. For this reason, people with atrial fibrillation often require blood thinners. They also often require medications, a procedure known as ablation, and/or an electrical shock to the heart in order to slow the rate down. If the rate of the ventricles can be controlled, people can often live with atrial fibrillation for years without having heart flutter or other symptoms. Atrial flutter is a cousin of atrial fibrillation in which the atria can beat very fast, often 300 beats per minute. Instead of multiple small wavelets as in atrial fibrillation, atrial flutter results from one wavefront which is going around and around in a circle in a condition known as re-entry. The most common area of re-entry in atrial flutter is around the right atrium and the tricuspid valve and is known as Typical Atrial Flutter. As in atrial fibrillation, because the atria are going so fast, the ventricles may go fast as well, which may cause the feeling of a racing heart or heart flutter. This may be treated with medications, an electrical shock to the heart, and / or a procedure known as ablation. Atrial flutter often degenerates into atrial fibrillation over time. People with atrial flutter are also at risk for a stroke and are therefore often required to take blood thinners to prevent this. Note that atrial flutter and heart flutter are not the same thing. Atrial flutter is a specific arrhythmia which is treated a specific way, whereas heart flutter just refers to the symptoms that one may experience from any of the arrhythmias discussed in this article. This is the most dangerous of the arrhythmias that may cause a person to feel heart flutter or palpitations and occurs when the ventricles of the heart begin to beat very fast due to an erratic electrical wave. As in atrial flutter, this fast electrical wave may be due to a condition known as reentry and may cause a heart rate over 200 beats per minute. Sometimes it may be associated with a heart attack due to a blockage in one of the coronary arteries due to dying cardiac tissue, such as in the widow maker heart attack. In addition to heart flutter, usually a person will feel other symptoms along with this arrhythmia such as dizziness, chest pain, shortness of breath, or syncope. In ventricular tachycardia the person is at significant risk of death if it is not addressed emergently with an electric shock known as defibrillation or cardioversion along with anti-arrhythmic medications to help prevent it from happening again. If the arrhythmia is not stopped promptly, there is a risk that the electrical wave will degenerate further into a condition known as ventricular fibrillation, which is when there is no coordinated electrical activity at all in the ventricles, and thus no pumping. This is the same thing as atrial fibrillation except that it occurs in the ventricles. If fibrillation occurs in the atria, it is not immediately life threatening because the ventricles continue to pump. However, a person with ventricular fibrillation will not be conscious and has minutes to live if a shock and CPR is not initiated immediately. POTS, or Postural Orthostatic Tachycardia Syndrome is a fairly rare condition in which the heart rate increases substantially without exercise and often causes significant distress to a person who may describe the symptom of heart flutter. POTS is a type of dysautonomia in which the nervous system improperly modulates the heart rate in response to standing up and can cause symptoms of heart flutter, dizziness, fatigue, shortness of breath and many other symptoms. It is not life threatening, but can cause significant distress to a person. Check out our comprehensive POTS survey of patients living with this condition. It is not uncommon for a person to have a sensation of heart flutter but after a thorough workup of the heart, nothing is found. There are many possible non-cardiac causes of this including but not limited to muscle spasms in the chest, anxiety, and gas. Also, it is possible that one of the above arrhythmias is actually present intermittently, but was unable to be documented by a physician. Usually, if an arrhythmia is present and it is not due to a temporary cause it will recur and will eventually be documented. What Can Affect My Heart Flutter Symptoms? Of course the answer to this question is that it depends on the cause of the symptoms, but there are some recurring themes. As mentioned above, the cause of the heart flutter sensation may be totally benign, or it may be a marker of disease. A common theme among all the arrhythmias is that there can be external factors that affect both the severity of the arrhythmia and the severity of the symptoms. External factors such as drugs (both prescription and illicit), electrolyte abnormalities or other disease states such as congestive heart failure (CHF), obesity, or COPD can greatly affect how a person experiences the symptoms of the same arrythmia. For example a person who has had atrial fibrillation for years may not have any symptoms at all if it gets out of control, whereas a person who drank too much alcohol and had an episode of atrial fibrillation may be completely distressed by the symptoms. Because of all these complexities, it is best to discuss your symptoms with a trained physician so a full History and Physical can be performed and possible diagnostic tests including things like labs, EKG, chest x-ray, echocardiogram, stress test, and Holter Monitoring. 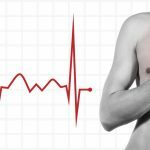 It is impossible to say whether heart flutter, or palpitations, are dangerous unless the cause of the symptoms is known. This also depends on what other diseases a person may have and the severity of those diseases. However, in general, certain arrhythmias are less dangerous than others. PVCs are often completely benign and may require no further workup or treatment. PACs may be benign as well. However, both conditions may be a marker of heart disease or lung disease, so more workup may be required. First degree heart block is not a dangerous condition; however, third degree heart block is a very dangerous condition that often is first noticed when a person passes out and requires a pacemaker to be placed emergently. Atrial fibrillation and atrial flutter are rarely responsible for death directly, but a person diagnosed with these definitely needs further attention to look for other disease states as well as to address the risk of stroke. Ventricular tachycardia is always immediately life-threatening and is usually a marker of an underlying cardiac disease such as a heart attack or congestive heart failure. POTS is not immediately life threatening, but can cause great distress to people. Non-cardiac conditions are usually not life threatening, but may require further workup in certain cases. 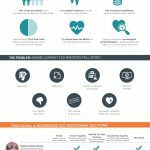 How is Heart Flutter Diagnosed and Treated? As you might expect, treatment for heart flutter depends on the cause and the other associated medical problems. Therefore, the most important first step is to diagnose the cause of the symptoms and this begins with a thorough History and Physical exam, which will be focused on your past medical history, current symptoms, medicines, and your habits, such as tobacco use, alcohol use, etc. Your internist should be able to diagnose the cause in many cases, but a cardiologist is more specifically trained to handle these arrhythmias and you may require a referral by your internist. As a first step in the workup, lab work is commonly ordered, included a basic metabolic profile (BMP), a complete blood count (CBC), a lipid panel (cholesterol) and often thyroid hormone levels. If certain concerns are found on the history and physical exam, more labwork may be needed. There is an entire arsenal of cardiac tests which could be employed should the workup lead in that direction, but it is common to start with a simple chest x-ray and an electrocardiogram (EKG). 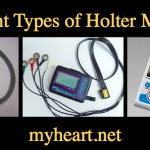 If the symptoms of heart flutter come and go, a Holter Monitor or an Event Monitor may be employed so that the person may record their heart rhythm at home for a few hours or days. In extreme cases, a heart monitor can even be implanted under the skin to monitor long term. An ultrasound of the heart, or echocardiogram is often used to look at the heart and how it beats directly. If there is a concern for coronary artery disease, a stress test may be ordered. If the stress test is positive, an angiogram, or heart catheterization, may be ordered to look for signs of coronary artery disease. There are many other tests which can be employed if needed, including CT scan and MRI. Treatment of heart flutter and the above mentioned arrhythmias would require an entire series of articles to discuss, but there are some recurring themes. In the best case scenario, the arrhythmia is benign and reassurance and a healthy lifestyle is all that is needed. Beta-blockers and other anti-arrhythmic drugs are very commonly used when simple reassurance is not enough. In the case of atrial fibrillation and atrial flutter, blood thinners are often required as well to avoid a stroke. If other diseases are found to be exacerbating the arrhythmias, such as COPD or anxiety, treatment of those conditions would be warranted as well. Advanced care may be required in some cases, such as a pacemaker, an implantable cardioverter defibrillator (ICD), or an ablation. We will be writing more advanced articles on the individual arrhythmias and their treatments in the future. Sitting at my desk this morning and my heart fluttered for a few seconds, simlutaneously my face felt flush and I felt like I may passout. Im a 56 year old male, and have never had this happen before. Should I be concerned? Should I wait for it to happen again before I get it looked at it, or go now? Better to be evaluated if worried than wait for it to happen again and be uncertain.